Mr. Vrånes started with the challenges and pitfalls of ASIC development for MEMS devices. 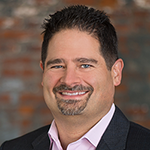 There are challenges regardless of the path chosen: a full custom design or one based upon intellectual property (IP) block design. With custom design the biggest risk is often the resources, money and people, along with the time required to complete a design. There may also be hidden IP infringement issues and unknown testability issues with a new design. Using IP blocks, if restricted to proven IP blocks already in production, reduces the risk. But this approach may carry risks such as fab dependencies, limited testability features, availability, and price issues. Both approaches also carry the risk of ASIC to MEMS device “fit”. How well does the electrical signals that either control (for an actuator) or sense (for a sensor) a MEMS element match the ASIC circuitry? For example, if the MEMS element provides too weak of an electrical output for which the ASIC doesn’t have the proper amplification the two devices may not work well together. When there is a mismatch between the two, either the ASIC or the MEMS element needs to be redesigned. In the worst case, both require a redesign. And the redesign cost and effort may cause the project or even the company to fail. Several examples were provided in which seemingly minor changes or low risk modifications had significant impacts to the projects. Three approaches to enable building and characterizing the MEMS element prior to completing the ASIC design were presented. These were the use of an off-the-shelf sensor signal conditioner (SSC) IC, stepwise design, and use of a field programmable gate array (FPGA). An SSC is a multipurpose programmable ASIC designed to support many types of common MEMS devices especially sensors. For a sensing MEMS it may have programmable measurement circuits to make highly accurate capacitance or voltage measurements of the MEMS device which are then processed by an on-board analog-to-digital converter. Since SSC are typically purchased from an outside company they may not be as low cost as an ASIC in extremely high volume. Using an SSC can remove considerable development risk and speed time to proof of concept or market. For lower volumes, perhaps less than ten million devices a year, using an SSC may in fact be lower cost than a custom ASIC. The main value of an SSC is allowing a resource limited team, such as a startup, to focus on developing the MEMS device and making a working product without incurring the ASIC development effort or cost upfront. In stepwise design, only the analog “front end” – i.e. the desired circuitry that directly connects or interfaces to the MEMS element to make or control the analog signals – of the eventual ASIC is designed and fabricated using a multi-project wafer build. This allows the design team to focus on the most critical, and typically the most challenging, part of the ASIC design. Using a multi-project build provides an economical means to quickly obtain a small quantity of ICs to use to debug both the critical portions of the ASIC design and the MEMS element. The rest of the functions of the final ASIC device is then implemented with a field programmable gate array (FPGA). The last approach is to use a FPGA to provide all the functionality of the typical ASIC used with a MEMS element. In some cases, the analog circuitry required can be supported by existing FPGAs. There is also discussion about FPGA suppliers building MEMS development platforms in the future. However, it is more likely that MEMS product development companies will need to partner with one or more FPGA suppliers to obtain the needed circuitry to support MEMS devices. As volumes increase, it is more likely that this market segment will gain the attention of the FPGA companies. With all three approaches – SSC, stepwise, and (full) FPGA – these provide the critical elements required to debug and characterize the MEMS element without the commitment and cost of a full ASIC development. These approaches may also be suitable for delivering low to medium volume products at a reasonable cost point. Therefore these solutions not only reduce the overall project risk profile and cost of a high volume product, they provide a path for developing innovative products that might not have a sufficient return on investment (ROI) to proceed when including the cost of ASIC development. These challenges in making measurements and performing calibration during development and in production are significant limiters to the development of new MEMS and nanotechnology. The lack of standards in performing measurements on this scale also make progress challenging. In addition, Professor Clark reported that one study from the National Institute of Standards and Technology (NIST) attributes 30 to 40% of the cost of manufacturing is due to calibration and calibration related issues. In addition to variation in the actual MEMS devices, there is also the uncertainty when using external instruments to measure them. An example given is that of using atomic force microscopy (AFM) which determines force by using a laser to measure the displacement of a cantilever. The force (F) is equal to the beam stiffness (k) times the displacement of the cantilever (x). [F=kx] If both the beam stiffness and displacement measurements have an uncertainty of +/- 10% the overall measured force will have an uncertainty of +/- 20% which is a very wide distribution. Typical measurement uncertainties may be significantly higher depending on the specific measurements made and the equipment used leading to even larger uncertainties in the measurements. Simply put measurements at this scale are very challenging. During a lunch discussion with Professor Clark, someone was curious about how measurement error “stacks”. I recommended the authoritative classic on this subject “An Introduction to Error Analysis: The Study of Uncertainties in Physical Measurements” by John R. Taylor. Professor Clark also recommended this book that is known to many engineering students as the “train book” due to distinctive train crash on the cover. If you are not familiar with this book and you are involved in measurement or test, you should be. MEMS fabrication processes variation also provides challenges in modeling the designs. Many fabrication processes vary noticeably from the computer aided design (CAD) artwork. For example, even though photolithography masks have sharp corners the actual shape produced has rounded corners. And side edges tend to taper which become pronounced as layer thicknesses increase so the cross section of a beam is not square but closer to a trapezoid. The shape of structures may also change depend on the closeness to other structures. All of these variations are difficult to predict accurately and may vary from unit to unit depending on exact processing conditions. When the design CAD model is used for simulation these variations are typically not accounted for thereby reducing the accuracy of the simulation. For the most accurate results, physical measurements of devices need to be made and used as the basis of the simulation. Care must be taken since the measurements may have a high degree of uncertainty which may lead to significant simulation errors. To solve these challenges, Professor Clark invented the field of electro micro metrology (EMM) which permits the measurement of dozens of mechanical properties in terms of electrical measurands. EMM is based upon the construction of test structures on the MEMS device which are designed to be measured electrically. Taking advantage of fabrication processes with extremely high localized uniformity – meaning that all the features in a given area will be processed the same – two EMM structures are built with one asymmetric feature. This permits the calculation of the mechanical property of interest by comparing the ratio of the electrical measurements. Since the structures are uniform within the same device the process to design variation is eliminated by comparing the two structures. And if the electrical measurement is precise the need for accuracy is eliminated by using the ratio of the measurements. Professor Clark provided a detailed comb drive example that had asymmetric distances to a central stop. By exciting the drive and measuring displacement and corresponding capacitance for each side he was able to reliably calculate the force, stiffness, mass, viscous damping, and quality factor. This methodology provides meaningful data for calibration of the device to significantly improve the device’s accuracy. The algorithms to perform self-calibration of the MESM device could be included in the sensing ASIC. He showed another example of a structure that once it is self-calibrated can be used to accurately calibrate AFMs. Adding appropriate test structures in each device permits characterization and modeling accuracy to be improved and allows devices to self-calibrate without the need for external measurements. Using asymmetric structures that reference each other can remove the variably of the fabrication process to provide every greater accuracy. 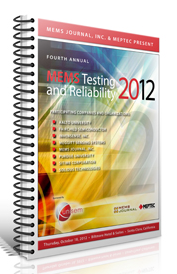 Stay tuned for additional summaries of MEMS Testing and Reliability 2012 to be posted shortly.